This cream wash combines skin-loving minerals, soft micro beads, and glycerin to gently lift away impurities and remove make-up without over-drying. Dermatologically tested, and suitable for sensitive skin, even around the eyes. 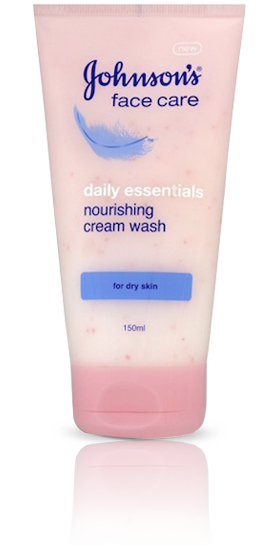 Nourishing Cream Wash – for dry skin is rated 4.0 out of 5 by 1. Rated 4 out of 5 by Sahar from Refreshing gel-cream Love this one, suits perfectly my dry skin. The creamy texture glides like a feather. Love the smell. Plus it cleans very well, leaving my skin breathing healthiness! Mornings and evenings lather into hands, massage onto face and rinse. Aqua, Glycerin, Sodium Laureth Sulfate, Betaine, Lauryll Glucoside, Acrylates/C10-30 Alkyl Acrylate Crosspolymer, Panthenol, Glyceryl, Oleate, Ascorbyl Glucoside, Magnesium Aspartate, Zinc Gluconate, Copper Gluconate, Mannitol, Hydrogenated Palm Glycerides Citrate, Coco-Glucoside, PEG-80 Sorbitan Laurate, Sodium Lauryl Sulfate, Polysorbate 20, Styrene/Acrylates Copolymer, Acrylates/Ammonium Methacrylate Copolymer, Hydroxypropyl Methylcellulose, Cellulose, Triethyl Citrate, Disodium EDTA, Sodium Hydroxide, Citric Acid, Tocopherol, Sodium Benzoate, Parfum, Cl 73360, Cl77007, Cl77891.